Pete Doherty did the music industry a favor over the weekend by hopefully discouraging any more artists from selling each other’s blood. His “arterial splatter” painting “Ladylike,” which he created with Amy Winehouse using paint and samples of each’s blood, sold drastically under its appraised value when it went to auction Friday night in London. 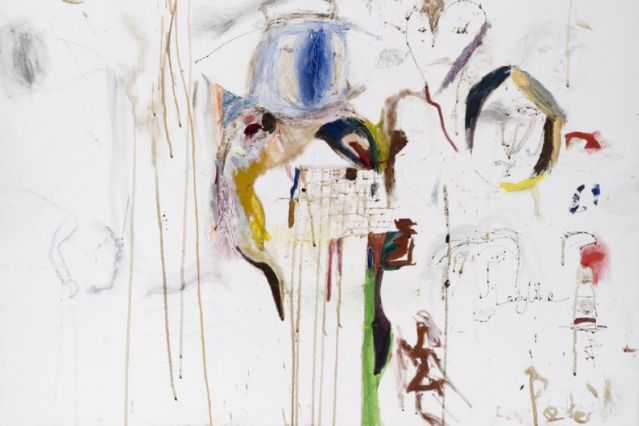 The painting debuted at Cob Gallery in a collection of Doherty’s artwork, all of which contains smears of his blood, during a ten-day exhibit this February. According to the Guardian, the works went up for sale Friday along with a bunch of Doherty’s other possessions, including guitars, diaries, and clothing (all things considered, the former Libertines frontman could be putting his efforts into worse pursuits than blood spatterings). Despite being valued between £50,000 and £80,000 ($80,000 to $128,000 USD), the Winehouse “collaborative” work ended up being sold for a paltry £35,000 ($56,000) to an unreported buyer. The bright side of the sale is that part of the profits will be donated to the Amy Winehouse Foundation, though the exact percentage is also unspecified.